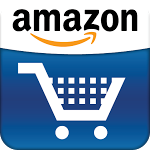 Since its launch, we've had bittersweet feelings about the Amazon Mobile app for Tablets. The app shows promise as a tablet-friendly shopping solution, but until now has suffered an extremely limited compatibility, only working with tablets running 4.1 and up and carrying a 1280x800 resolution. An update to the app today, however, has changed all that. Along with a few bug fixes, the update (to version 5.50.1010 for those keeping count at home) brings support for devices in 7" or 10" form factors, with a variety of resolutions, and loosened OS requirements.